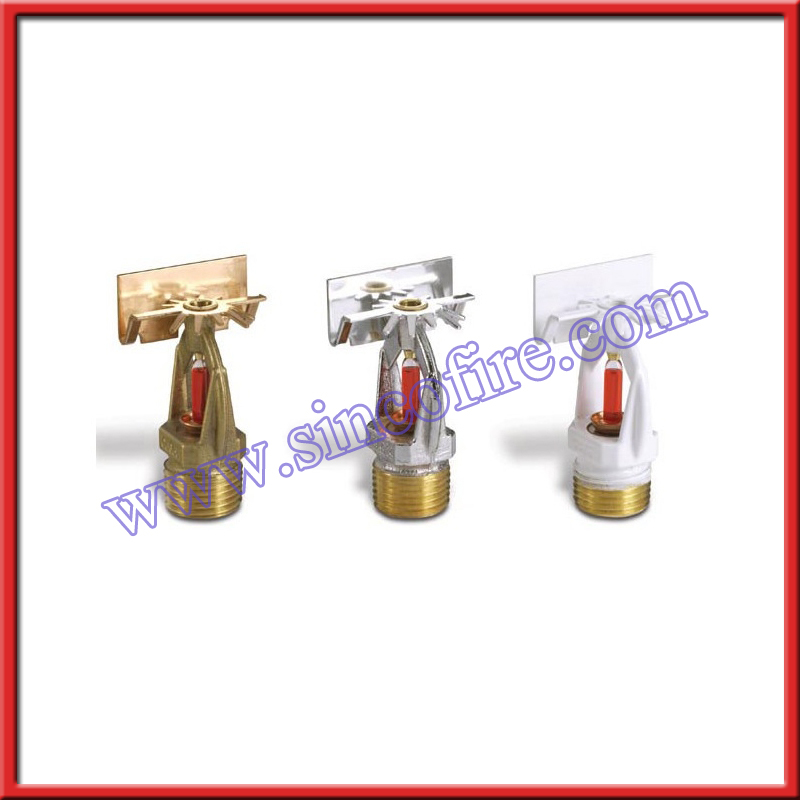 Glass bulb fire sprinklers, which is the key part of automatic sprinkler sytem, can be used to not just detect fire risk but control the fire and extinguish it by automatically spraying water. 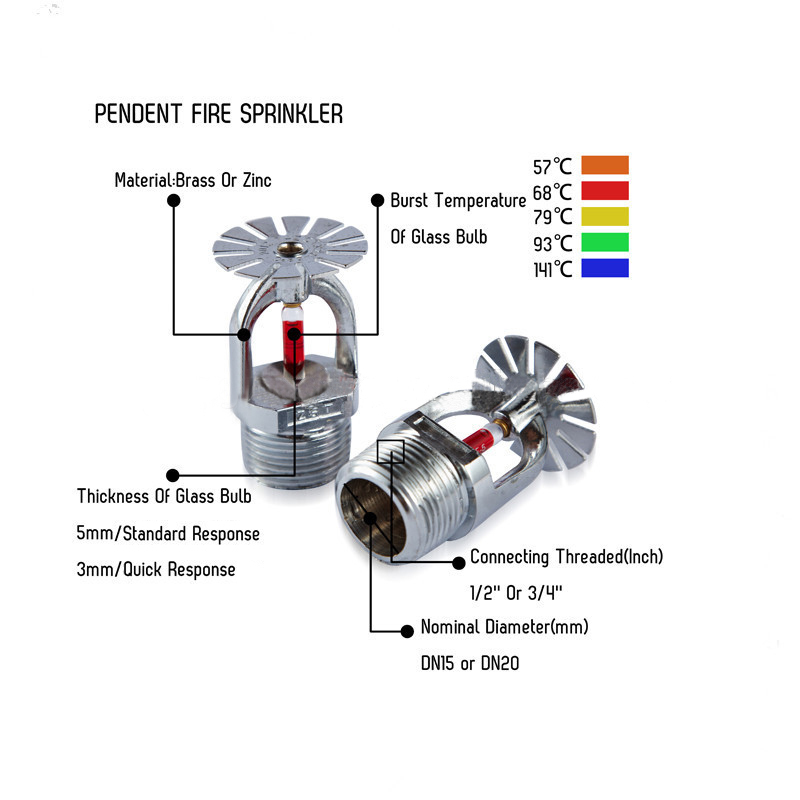 Since it can meet the requirements of protection from fire risks at degrees, glass bulb sprinklers are generally used in high buildings, hotels, department stores, and warehouses, etc.The environment temperature of working is from 4 ℃ to 70 ℃. 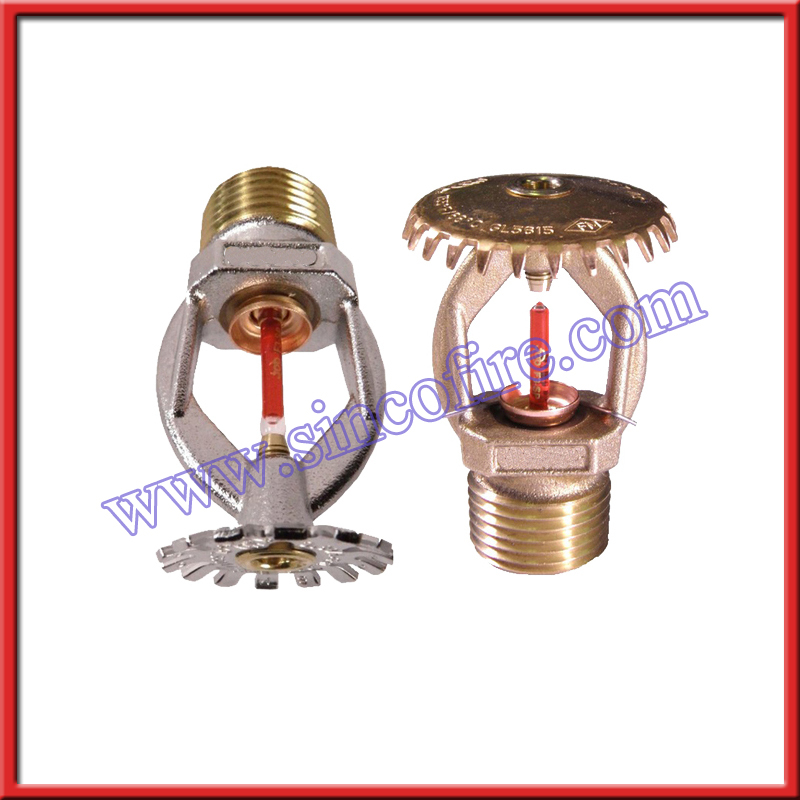 Made of brass frame, splash, deflector, glass ball, seals, tight set screws. Spray Sprinklers serve a variety of applications but all operate individually when heat at the sprinkler is high enough to "automatically" operate a calibrated thermal link that opens the sprinkler allowing the pressurized water to spray onto the source of heat. If the first sprinkler cannot control the fire the heat will build and spread to adjacent sprinklers that will operate as needed. 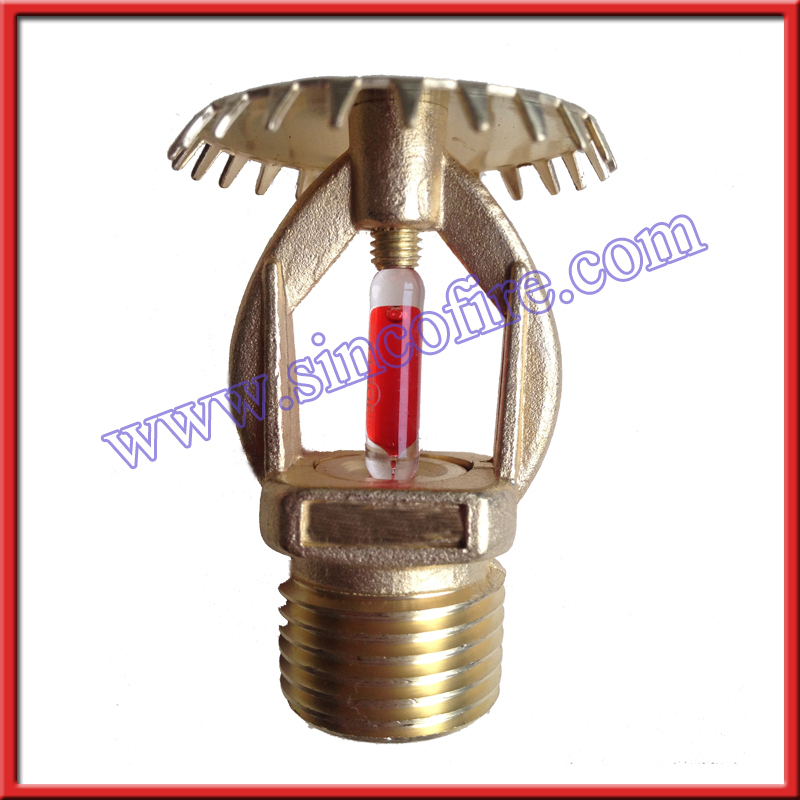 Although special situation/applications use sprinkler heads or nozzles that are already open such that water discharges through all the sprinklers at once, the normal "Wet" Pipe system limits the water flow to the area of high heat. Sprinklers vary considerably in their water flow characteristic since they are each designed for certain applications, however their basic shapes are limited to Uprights, abbreviated SSU (vertical above pipe, spraying down), Pendants, abbreviated SSP (vertical, below pipe spraying down) and Sidewalls, Horizontal (abbreviated HSW) and Vertical (VSW), both spraying horizontally. 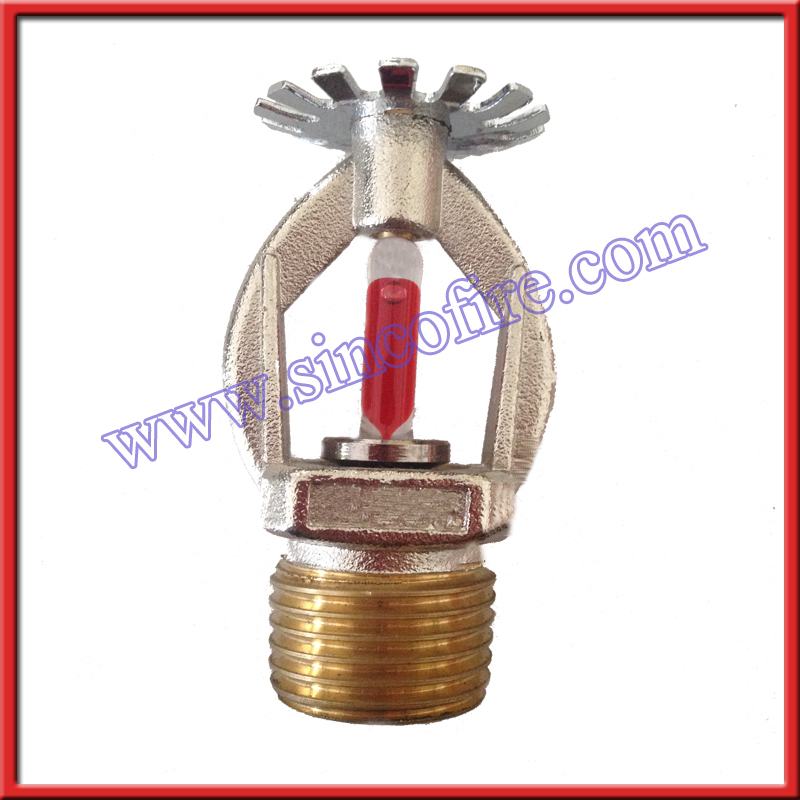 SINCO FIRE AND SECURITY CO., LIMITED are a professional company specialized in Fire fighting equipments and Safety products.